The Independent titles are to be the first of the major national newspapers to become digital-only. Launched in 1986, they were the youngest of the UK’s national quality papers. Their owner, Evgeny Lebedev, is known for media innovation. In 2010, he launched the i, the ‘compact’ tabloid form of the Indy (which, incidentally is being sold off to Johnston Press for £25m), he’s turned around The Standard and launched London TV. 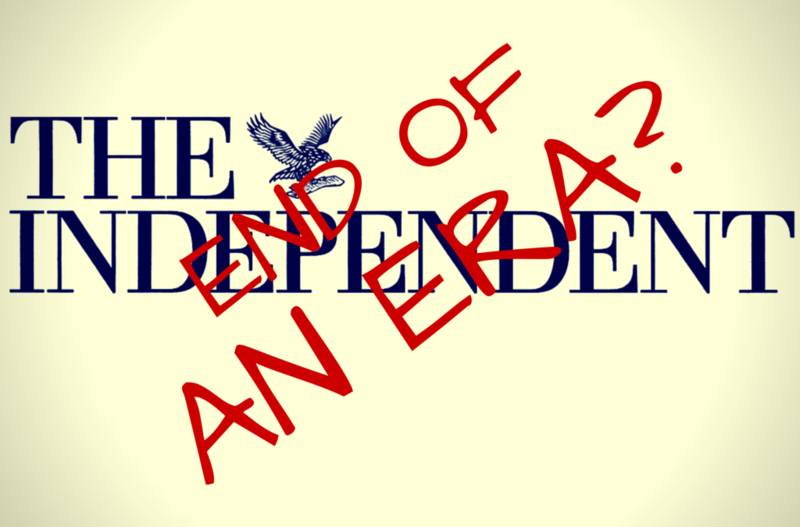 It’s sad that the Independent, as a printed publication, has gone. But in this digitally-savvy time, it’s no surprise. The paper’s print sales have fallen to just over 40k, whilst the online revenue for independent.co.uk is expected to see 50% growth this year. With 70m global unique users a month (growing 33.3% in the last 12 months according to its publisher), the website has become the fastest-growing online national news provider in the UK. So what does this news signal for the print industry as a whole? And more importantly, what does it mean for us and our clients? Digital is the future and it’s been obvious for a while. Print advertising revenues are in decline: advertisers follow audiences and most digital reaches dwarf print circulations. 2015 was the first year where 50% of all advertising spending in the UK was on digital (eMarketer 2015 UK report), now at £7.2bn, up from £825m in 2004 (IAB/PwC Adspend results). In 2015, 42% of people a week accessed news on a smartphone and 31% accessed it on a tablet in the UK (Reuters). What this means is, like traditional publishers, we need to think digitally when considering our media strategies. We know that we need to support publishers with content that is compelling and engaging – content that works online and off. Alongside the traditional press release, we need to consider native advertising, authored content, visually attractive data (eg. infographics), long-form features, plus video, social and quiz content. Any PR worth their salt needs to understand what media outlets want, what works online, what audiences are interested in and be able to advise clients accordingly. Of course the demise of the Indy in print isn’t a total surprise, but it doesn’t necessarily sound the death knell for all print media. Our team have been discussing what digital means to the future of print for a while now. There will be a gradual and almost full-scale move over to digital, giving us different ways to engage with many different (and often new) audiences. But that doesn’t mean print journalism is dead. The print that is left will be quality, rather than today’s quantity. Newspapers may decide to print weekly round-ups and long-form journalism like the Guardian’s Long Read will become the norm. Audiences will be prepared to pay more money, less often, for aesthetically pleasing, table hogging, in-depth magazines, which become the title they consume all month, rather than in one sitting. The media landscape is only going to get more difficult to navigate and media navigation skills more highly sought after. Here’s to the future and to all the exciting reads it brings. Thought leadership is a type of content marketing that positions you, your staff and your brand as sector experts. How do you do it and why does it matter so much?